The version 8 / 8.1 features an amazing user interface as well as more beauty and functionality as you use it. With Microsoft announcing its end of support for Windows XP, it has made other Operating systems that have better use cases and functionalities than XP. Windows 7 was made and now we have Windows 8. This is the official ISO package to download and install on a desktop computer or laptop. Note that you need to enter a valid product key. This is not an online installer, it is the full installation package of version 8.1 Pro. It is a direct download link. The setup files are hosted on high-speed servers, faster than torrent download or other technologies. To install, create a bootable USB stick or DVD with the .iso file and restart the computer. It has full support for touchscreen and the Start menu is redesigned and now has rectangular tiles. This allows you to access the most important features and settings to manage the PC. You have access to Windows Store where you can download all kind of apps. This operating system software combines the power of the new and beautiful designs to help provide a more friendly user interface. What else you can get from this application is a promise of quality and usability as things are easier to organize and find. You will need a valid product key to install Windows. It is part from operating systems category and is licensed as shareware for Windows 32-bit and 64-bit platform and can be used as a free trial until the trial period will end. 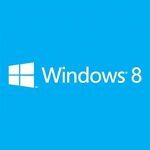 The Windows 8.1 Pro Version (Official ISO Image) demo is available to all software users as a free download with potential restrictions compared with the full version.